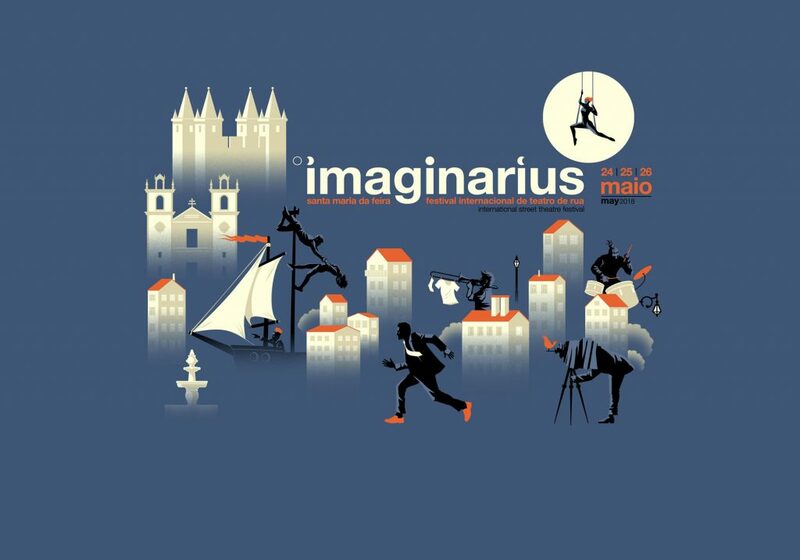 The imaginarius is one of the largest international street theater festivals held in Santa Maria da Feira. This event is already an international reference and is considered the largest street arts festival in Portugal !!! Since 2001, this festival has been making history thanks to its great international productions and lists the creativity and imagination of the local creators. The scope of this festival ranges from the newest creators, through the imaginarius infantile, where it has workshops and innovative experiences for children from 3 to 12 years, to the healthy competition of emerging artists and local creators. This festival is already integrated into the "European road arts route" and is another contribution to make Santa Maria da Feira the Portuguese street arts capital. This year, the international street theater festival is held for 3 days, 24, 25 and 26 May where it brings to the city more than 300 artists from 17 different countries. Imaginarius pretends to be a program that promotes education through art where it launches challenges for all ages. More than a meeting place, this festival intends to continue to assert itself as a space of the street arts in Portugal. According to the Imaginarius website, "the 18th edition aims to challenge our limits, opening wings for a parade of odyssey and adventures of contemporary times, in a unique context of wonder. The eternal reflection of our social state, reaffirms itself as a reason for stimulating creativity. " So, this festival promises to continue to differentiate and innovate with new places, new approaches, and new active spaces in order to promote an irreverent journey! At the level of accommodation, we could not fail to recommend our holiday home in santo andre because it is a place full of culture and secrets, which will be your ideal starting point for this fantastic trip! Formate o aspeto visual deste texto. O mesmo será substituido pelo conteúdo da sua notícia. Retro mumblecore slow-carb cold-pressed bitters fanny pack. Plaid cray church-key, mumblecore art party 8-bit synth. Single-origin coffee occupy gentrify bushwick. Next level leggings keytar selfies tilde tattooed. Slow-carb tattooed ramps brunch butcher asymmetrical humblebrag, locavore crucifix quinoa beard fixie vinyl tote bag selfies. Keffiyeh photo booth marfa, before they sold out street art dreamcatcher franzen put a bird on it. Pop-up fanny pack you probably haven't heard of them selfies direct trade, chia mixtape hella sustainable butcher.